Articles | Stephen J. Farnsworth, Ph.D.
(For a complete list, please use the link to the CV on the right). Partisan Trends in Late Night Humor. (S. Robert Lichter and Stephen J. Farnsworth). Still good for a laugh? Political humor in a changing media landscape, ed. Jody Baumgartner and Amy Becker. Lanham, MD: Lexington Books, 2018:45-57. Gridlock until 2020: Trump will only remain true to himself, a policy that will never change. (Published in German as “Stillstand bis 2020: Treu bleibt Trump nur sich selbst. Seine Politik aber wird sich niemals ändern.”). Internationale Politik (German Council on Foreign Relations). 2018 (6): 8-13. (November/December). Donald Trump and the Late-Night Political Humor of Campaign 2016: All the Donald, All the Time. (Stephen J. Farnsworth, S. Robert Lichter, and Deanne Canieso). 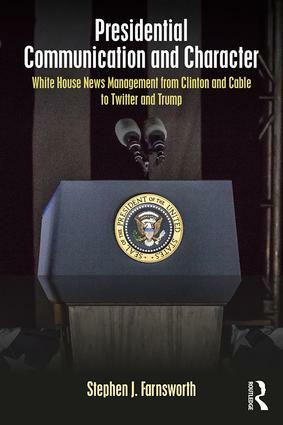 The Presidency and Social Media: Discourse, Disruption and Digital Democracy in the 2016 Presidential Election, (Dan Schill and John Allen Hendricks, ed.) New York: Routledge, 2018: 330-45. Party Affiliation and Political Class. (Benjamin Hermerding and Stephen J. Farnsworth). The American Middle Class: An Economic Encyclopedia of Progress and Poverty (R.S. Rycroft, ed.). Santa Barbara, CA: Greenwood, 2017: 476-9. Virginia’s 2013 Gubernatorial Race and Presidential Elections: A Comparison of News Coverage. (Stephen J. Farnsworth and S. Robert Lichter). The Virginia News Letter. Weldon Cooper Center for Public Service at the University of Virginia. 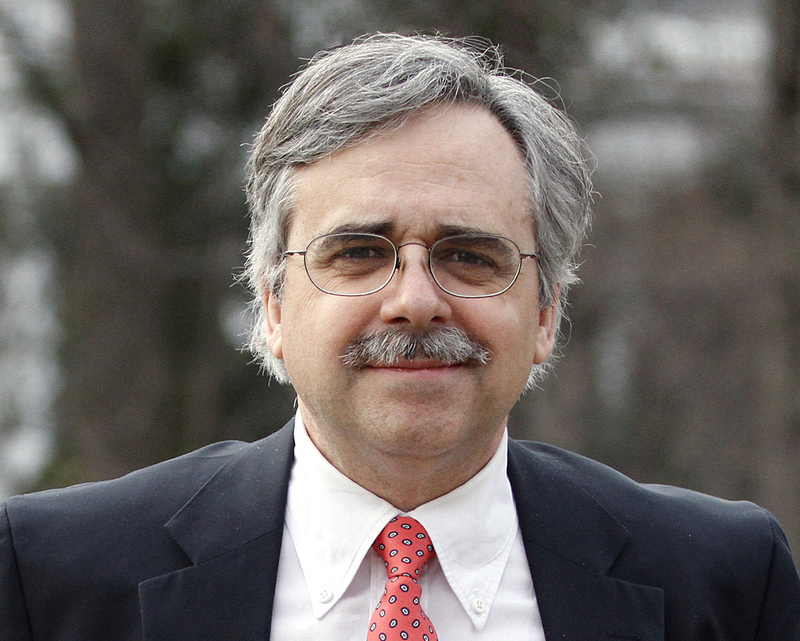 Virginia Voters and Decentralized Governmental Power: Federal Frustration and State Satisfaction? Virginia Social Science Journal 50: 81-90 (Spring 2015). Spinner-in-chief: How presidents shape the news. (Published in Italian as “Spinner-in-chief: come i presidenti plasmano le notizie”). Limes, the Italian Journal of Geopolitics. 2015 (4): 139-146. (April 2015). With Overwhelming Support for Nonpartisan Redistricting, Virginians are Studying Ways to Make That Happen. (Benjamin M. Harris and Stephen J. Farnsworth). An Extended Presidential Honeymoon: Coverage of Barack Obama in the New York Times during 2009 and 2010. Politics and Policy 41 (3): 447-463 (June 2013). Visualizing Virginia’s Changing Electorate: Mapping Presidential Elections from 2000 to 2012. (Stephen P. Hanna and Stephen J. Farnsworth). Event-Driven Environmental News in the US and Canada. (Stuart Soroka, Stephen J. Farnsworth, Lori Young and Andrea Lawlor). Electronic Media and Politics 1(10): 143-57 (November 2012). Scientific Assessments of Climate Change Information in News and Entertainment Media. Science Communication 34(4):435-59 (August 2012). Authors’ Response: Improving News Coverage in the 2012 Presidential Campaign and Beyond. Politics & Policy 40(4): 547-556 (August 2012). Media Coverage of the 2005 Virginia Governor’s Race: A Comparison to Presidential Campaign Coverage. The Structure of Scientific Opinion on Climate Change. International Journal of Public Opinion Research 24(1): 93-103 (Spring 2012). News Coverage of New Presidents in the New York Times, 1981-2009. Politics & Policy 40(1): 69-91 (February 2012). The Return of the Honeymoon: Television News Coverage of New Presidents, 1981-2009. Presidential Studies Quarterly 41(3): 590-603 (September 2011). International News Coverage of Barack Obama as a New President. (Stephen J. Farnsworth, S. Robert Lichter, and Roland Schatz). Electronic Media and Politics 1(2): 27-45. (June 2011). Network Television’s Coverage of the 2008 Presidential Election. American Behavioral Scientist 55(4): 354-70 (April 2011). The International Two-Step Flow in Foreign News: Canadian and U.S. Television News Coverage of U.S. Affairs. (Stephen J. Farnsworth, Stuart Soroka, and Lori Young). International Journal of Press/Politics 15(4): 401-19 (October 2010). CBC News Coverage of Canada’s 2006 Liberal Leadership Candidates. American Review of Canadian Studies 39(3): 290-302 (September 2009).